The Rolling Stones documentary, “Stones In Exile,” will see its release on Blu-ray on August 27. Directed by Stephen Kijack and originally issued in 2010, the film chronicles the story behind the Stones’ monumental “Exile On Main Street” album. Recounted in the band’s own words, the documentary explores the spring of 1971, when the Stones fled the UK as tax exiles, settled into Keith Richards’ French villa Nellcôte in Villefranche-sur-Mer, and proceeded to create the double-album masterpiece. 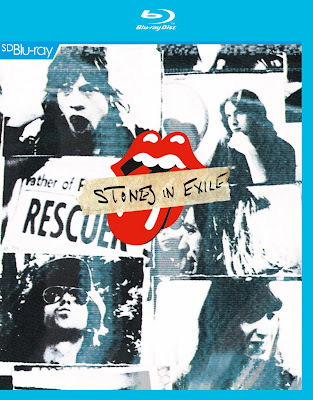 The Blu-ray includes extensive bonus footage, interviews with all band members (as well as some well-known Exile fans) and a featurette of Mick Jagger and Charlie Watts visiting Olympic Studio and Jagger’s Stargroves country house, where most of the early work on the album was done. Originally released as a standard definition DVD, the Blu-ray edition is an upscaled version of the original material, with uncompressed stereo and DTS-HD Master Audio surround sound. Last weekend, the Stones wrapped up their “50 & Counting” tour with their second show in London’s Hyde Park.